Own A Ben’s Barketplace Franchise! What Makes Ben’s Barketplace Different? 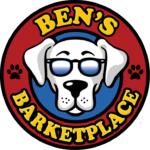 Ben’s Barketplace was founded out of a passion to provide superior products to maintain pet health and educate pet owners about the best health and nutrition practices. We stock the highest threshold pet foods available in North America. Ben’s not only the highest level nutritional products, but the added value of education through nutritional consultations to evaluate your customer’s pet needs and organize the best plan to develop and maintain optimum overall pet health through nutrition. At Ben’s Barketplace, we offer a fully-developed business structure for our franchisees. To maintain the reputation of the Ben’s Barketplace brand, we thoroughly vet all our franchisees, and even if you feel like owning your own Ben’s and it’s a perfect fit for you, we want to make sure. Before you invest in your franchise we have a series of steps to be sure we’re the right fit for each other. First, contact us via email or simply fill out the contact form on the website. Next, we’ll follow up with an introductory phone call so we can answer any questions you may have and learn more about your vision with franchise ownership. Additionally, we’ll open up our informational portal so you can do even more research. Then simply fill out a store ownership application. Once your application is fully approved, you can visit us at our headquarters so we can become better acquainted. After your visit, the next step is to join the Ben’s Barketplace team and start opening your own store! Ben’s Barketplace provides all of the training, support, education, and assistance you will need to have a successful franchise. To successfully navigate your new business venture all you need is a passion for pet nutrition and superior customer service. Our 2017 FDD (Franchise Disclosure Document) reported over $1.4M in annual revenue. Having opened in 2005, Ben’s Barketplace is not a new kid on the block. We are an emerging franchise brand and we have already “made the grade.” We are pleased to be recognized as one of the best franchise opportunities by franchisegrade.com. The current social, political, and economic climates have no effect on consumer’s needs for pet nutrition services. Pets are considered members of the family and their owners keep the health and wellbeing of their furry friends a top priority. Sometimes an even higher priority than their own healthcare! The pet food segment was up 17.4 percent to $31.1 billion in 2017! Ben’s Needs Your Passion for Pets! We are pleased to offer an all-encompassing education and training program to give our pet store franchisees all the tools needed for success. We want individuals who are passionate about superior pet health to take part in the growth of our business. The 2015-2016 APPA National Pet Owners Survey reported that 65% of U.S. households own pets. High-quality pet care is in demand, and because of this, our industry is recession-proof. If you’re interested and ready to make a commitment, it’s time to take the next step. The first five franchisees on-boarded will receive a discounted franchise fee—check to see if there is an available market near you. Opening your own Ben’s Barketplace franchise will be a step toward improving the health of the pets in your area. Request more information now to see if owning your own Ben’s Barketplace franchise is right for you!